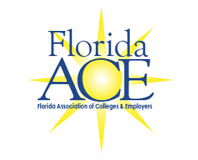 The John T. Brownlee Leadership Award is the Florida Association of Colleges & Employers' highest honor. Congratulations to Tim Harding from University of Tampa, our 2018 Brownlee Leadership Award recipient! Tim Harding currently serves as the Associate Dean of Career Development and Engagement at The University of Tampa in Tampa, FL, where he has been employed since August 2005. He is originally from the state of Indiana where he worked in the Center for Career Planning and Development at Butler University for over 12 years. He is active in the professional associations affiliated with the student affairs and career services fields including the National Association of Colleges and Employers, the National Association of Student Personnel Administrators, the Southeast Association of Colleges and Employers, the Florida Career Professionals Association, and the Colleges of Central Florida Career Consortium. 21st Century Career Services Model Task Force and the 2016 First Time Attendees committee. He served for over eight years on the Board of Advisors for a software company, Experience, Inc. Mr. Harding earned a Master of Science in Education from Indiana University and a Bachelor of Arts from Anderson University. In 2009, he completed the Stetson College of Law/NASPA Student Affairs Policy and Law Certificate Program. 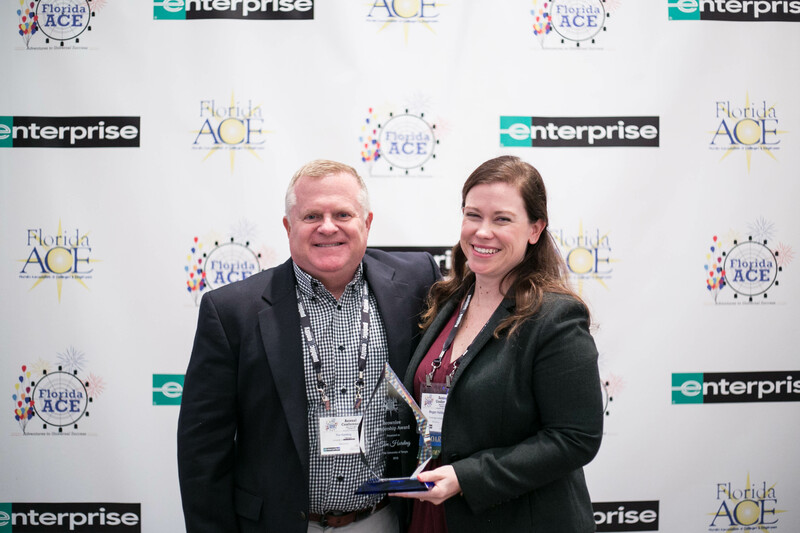 The John T. Brownlee Leadership Award was established by the Florida Association of Colleges & Employers (formerly known as FCPA) in recognition of John T. Brownlee’s contribution and tireless efforts on behalf of the organization. Emphasis for selection will be placed on general contribution and support of FloridaACE, contribution to a specific FloridaACE program or project and/or professional contribution to the university recruiting and/or career services fields. A nominee must be nominated by a current FloridaACE member. Members of the selection committee are not eligible to nominate. Submit your nominee for this year's award to FloridaACE's Past President via email to [email protected]. Nominations are now being accepted and must be submitted and/or postmarked by Friday, March 22, 2019. The recipient of the John T. Brownlee Leadership Award is announced during the Recognition Luncheon at the Annual Conference in June. Recipients become Lifetime Members of FloridaACE and receive a crystal award. *Gone But Never Forgotten...to those members we've lost over the years.